WASHINGTON — Mothers Against Drunk Driving (MADD) rates every state’s drunk driving laws and highlights drunk driving countermeasures related to MADD’s Campaign to Eliminate Drunk Driving in a report released today. The report explains MADD’s vision to literally eliminate drunk driving in America. New to the campaign, MADD expanded our advocacy to include support for fully autonomous vehicles. MADD National President Colleen Sheehey-Church provided key testimony in June 2017 before the U.S. Senate Committee on Commerce, Science and Transportation to express MADD’s support for federal oversight of safe development and testing. MADD also joined the Self-Driving Coalition for Safer Streets as a show of support for the promise autonomous technology holds for eliminating drunk driving. MADD is working with automakers, the technology industry and traffic safety partners to help this promise reach reality. MADD welcomes Velodyne LiDAR as a sponsoring partner of this year’s Campaign. To help states pass the most effective drunk driving laws, MADD’s rating breaks the five categories down into two subcategories, allowing half-star ratings for states that need to improve their existing laws. For example, all states that conduct sobriety checkpoints receive a half-star, but those that conduct them at least once a month receive a full star. The five highest-ranked states received a 4.5. They are Arizona, Maryland, Mississippi, Nevada and West Virginia. Montana scored the lowest with just a half-star. Michigan scored the second lowest with just 1 star out of 5. The five other lowest-ranked states scored a 1.5 out of 5. They are Idaho, Iowa, Rhode Island, South Dakota, Wyoming. 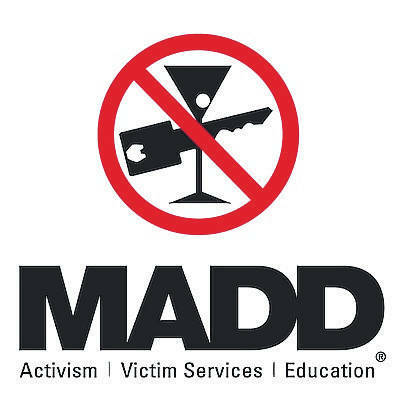 MADD’s Campaign to Eliminate Drunk Driving, launched in 2006, is based on four mission prongs: Support for high-visibility law enforcement such as sobriety checkpoints, ignition interlocks for all drunk driving offenders, advanced vehicle technology such as the Driver Alcohol Detection System for Safety (DADSS) and autonomous vehicles, and public support for these initiatives. Over the past year, MADD’s Campaign efforts have helped pass and strengthen ignition interlock laws in Nevada, Oklahoma, Texas, Kansas and Oregon. MADD’s tireless advocacy successfully defended attempts to weaken current interlock laws in: Arkansas, Texas, Wyoming, Kansas, Virginia, Georgia and Connecticut. MADD also defended an administrative license revocation law in West Virginia. Unfortunately MADD was unable to stop the defunding of sobriety checkpoints in Missouri. MADD’s top legislative priority in Missouri this year is to bring back sobriety checkpoints and retain this lifesaving law enforcement tool in other states such as New Hampshire. MADD’s Report to the Nation is available at https://online.flippingbook.com/view/402839/. MADD is the sole author of the report, which is based on 38 years of experience working to pass lifesaving legislation, along with data from various respected government, research and public safety organization sources. For more information about MADD’s Campaign to Eliminate Drunk Driving, visit www.madd.org/campaign.